For this month’s Throwback Thursday, we’re taking a look at the history of another of YHA’s earliest hostels. The hostel in question this month is YHA Street, whose origins with YHA date back to 1931. 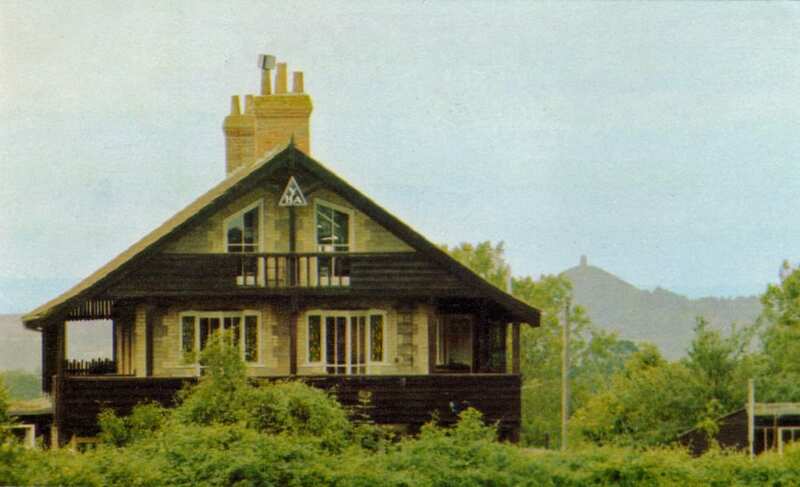 The Chalet on Ivythorn Hill was originally constructed in 1914 with a very distinct appearance designed with the look and feel of a Swiss chalet. 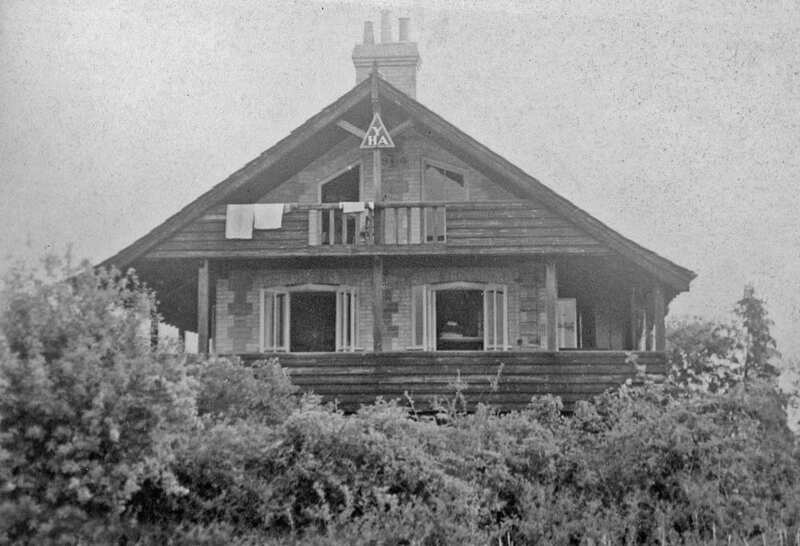 Originally designed and constructed by two local sisters as a summerhouse, The Chalet was then gifted to a group of local business people who would form The Chalet Trust. The idea behind its new purpose was to provide a holiday and rest home to local people, those suffering from illness or those of limited means. The last statement becoming one of the key messages for YHA overall. 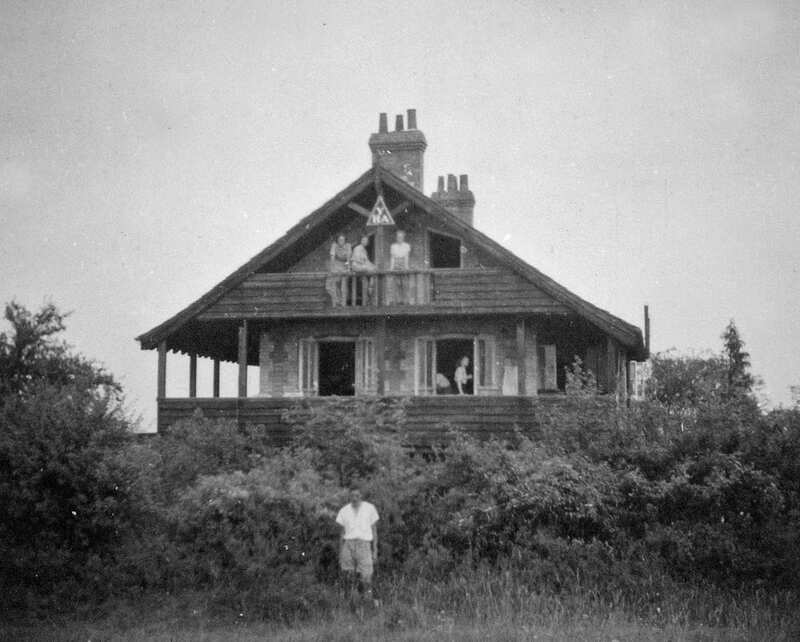 As the National Trust noted Ivythorn Hill as a beauty spot in 1919, refreshment rooms became available between 1923 and 1931 to cater for the extra tourism the spot had attracted. 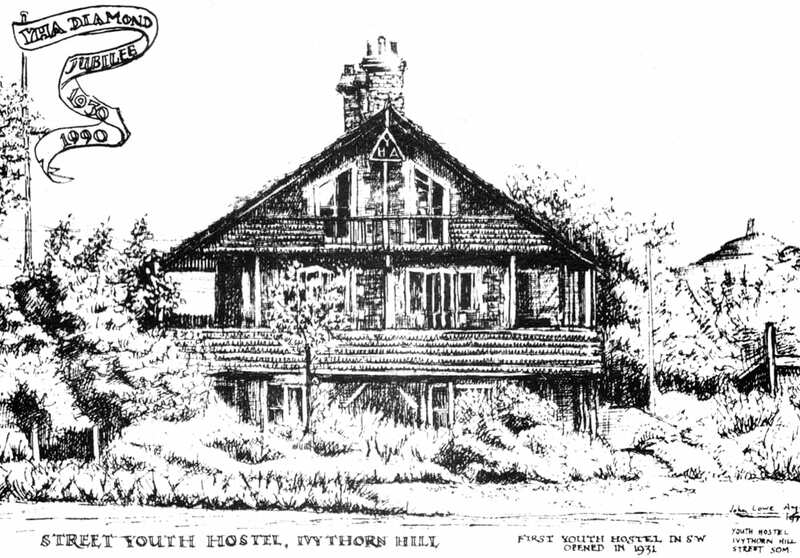 The Chalet was rebranded as Street Youth Hostel on 19th Match 1931, around the same time YHA was making its national appearance. Around a month later, the building was leased to YHA, officially making Street the first hostel to be established by YHA England and Wales in its pioneering year. 1931 saw 455 visitors, which tripled to 1,262 by 1933 due to its popularity. The early hostel went without mains water and simply used a hand pump. One of the duties given to those staying would be to fetch water for use by the warden and other members. The hostel underwent major improvements over the 1930s including increasing the bed count to around 45 beds and adding an extension to the kitchen. This saw another huge jump in numbers, doubling overnights from around 1,150 to over 2,300 between 1934 and 1939. YHA Street closed its doors in November 1940 due to wartime restrictions and reopened in April 1944 to a roaring comeback with over 2,700 overnights in 1945 increasing to over 4,100 by 1949. 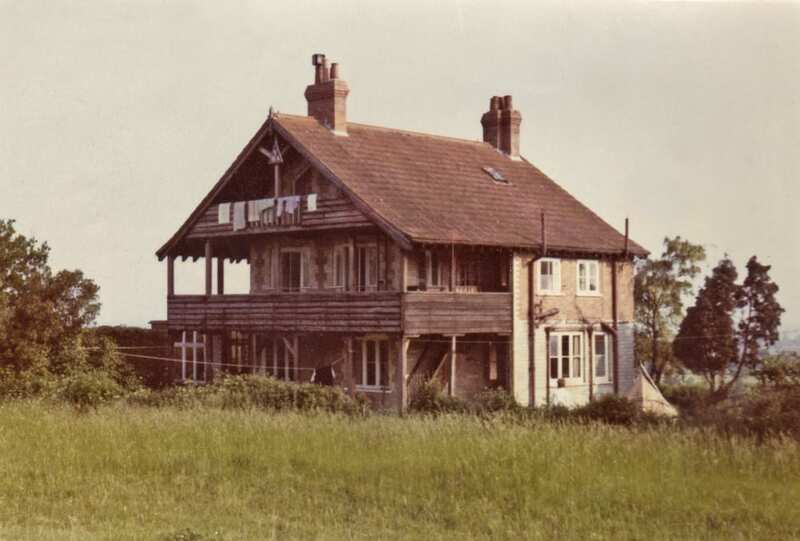 The hostel remained relatively unchanged until the installation of electricity at the end of 1959, significantly improving the comfort and usability of the hostel. The hand pump was later replaced by an electric version in 1971 after 40 years of use by thousands of countryside adventurers. In 1980 the number of beds was reduced slightly to 40 to increase space and comfort. However, the biggest improvements came in the 1990s. The hostel was treated to a total refurbishment, with the largest change being that accommodation for members was now held inside the main building. A reduced capacity took the number of beds down to 32, with three, four, five and 12 bed rooms made available in a much more spacious and comfortable layout. Cooked meals were withdrawn from YHA Street leaving the hostel as self-catering only, which is still true to this day. 1991 saw the hostel made available to groups under the “Rent-a-Hostel” scheme. Around 1996-97 the large top floor dorm was divided creating two smaller family dorms and access to the upper balcony was upgraded to stairs, finally replacing the vertical ladder that had originally been used for access. These improvements saw YHA Street’s highest number of individual overnights ever with 4997 in 1996. The next big change for the hostel came in 1998 with the capacity being reduced further to 28 beds to improve comfort. This trend was carried throughout the rest of the hostel with new heating and showers among other improvements. YHA Street is planned to carry on for a long time to come with another full refurbishment currently in progress. The changes include new decoration, lighting and furniture throughout the hostel. Changes to the dorm rooms include upgraded beds, flooring, curtains and storage solutions as well as reconfigured showers and toilets. Upgrades and new additions include family camping pods, bell tents and additional washrooms and toilet facilities for those areas. Wifi will now be installed in social spaces to keep you connected, and board games for when you want to switch off! YHA Street is still as popular as ever and holds the crown as the oldest YHA hostel still in operation today. Its popularity stems from its stunning Somerset location, relaxed environment and surrounding National Trust land to explore by foot or on two wheels.